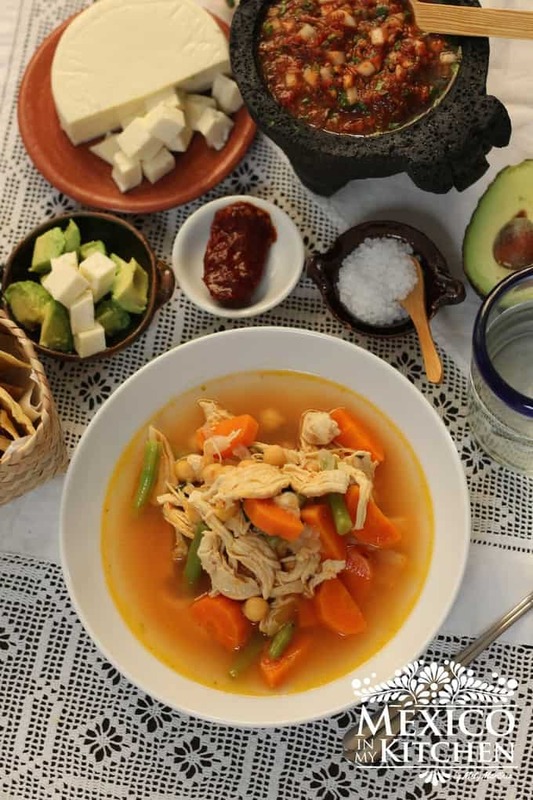 10 Recipes to Celebrate Mexico Independece Day - México in my Kitchen. and culture. These are a few of the most popular dishes to celebrate the Mexican Independence Day with. This is the most popular soup served during this celebration. 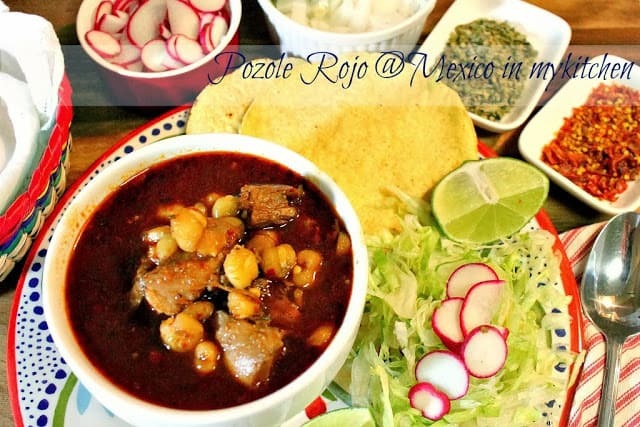 It could either be Pozole verde, blanco or rojo. Traditionally topped with shredded lettuce, radishes, and onion, and seasoned with lime juice, oregano and ground piquin pepper. Oh, and don’t forget the corn tostadas! Topping tostadas with Chicken Tinga are the number one choice in central Mexico, although some people prefer a beef topping or just plain refried beans. Quesadillas are a quick and versatile option, as they are made on a griddle and can be stuffed with almost anything, including mushroom, chicken, beef, pork, veggies, beans, and, of course, that delicious melting cheese. beans. You will find several options for tamales in the recipe section of the blog. Also known as “Crispy Taquitos,” Flautas are a favorite here at home, stuffed with shredded beef, chicken, or plain cooked potatoes. Top them with shredded cabbage or lettuce, tomatoes, onions, cream, crumbled cheese and your favorite salsa. Do I need to say more? They’re delicious! 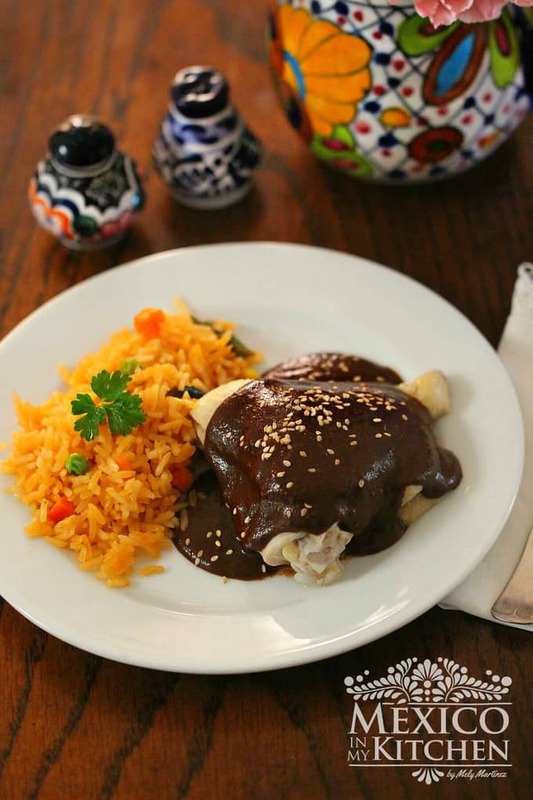 There really isn’t anything more Mexican than Mole Poblano. This meal takes some time to prepare, but the end results are unbelievably mouthwatering. The combination of peppers, spices, seeds, chocolate, and vegetables create a succulent sauce. Another Mexican favorite, versatile and quick to prepare. The fried tortillas dipped in the salsa get transformed when you add a filling and top them with cheese. Empanadas are another creative way to enjoy corn masa. The dough is pressed down into a circle in order to then be filled with an endless selection of stuffings and then folded in half and deep-fried. Chicken Tinga is the most popular of all stuffings, followed by crumbled queso fresco. Don't forget Pambasos 🙂 I hope I can make them this year.